The new era of payments is here | Why NMI? After powering $45 billion a year in payments for 1,000 technology partners and 110,000 merchants, we have a strong viewpoint about commerce in the digital economy. It’s not just about payment platforms, EMV adoption and advancements in POS terminals. This all misses the point. It’s really about competing in a new era where payment processing is the new battleground. From disruptive business models and the explosion of new devices and points of sale, to customer expectations for cross-channel recognition and the emergence of data as the new currency, ISOs, Fintech Innovators and Technologists today are facing a PAYMENT CRUNCH. The payments landscape is highly fragmented from numerous touch points across in-store, mobile and online siloes, multiple platforms, devices, processors, and data sources, along with the reconciliation reporting burden. Disruptive business models are appearing everywhere and they’re shifting the way the payments landscape operates. They’re going direct to merchants and changing customer expectations. Payments are becoming commoditized, which is leading to diminished value and causing the payments landscape focus to shift towards the user experience being paramount. ISOs, Fintech Innovators and Technologists who fail to adopt this new era risk being left behind. ISOs and Fintech Innovators are faced with an overwhelming number of disparate options in the current payment landscape. This leaves you with disconnected solutions and managing compounding complexity, all while putting your business at risk of being left behind. The existing payments landscape for ISVs, VARs and System Integrators is full of fragmentation and complexity. This ties up valuable resources and makes it hard to keep up with the ever-changing payment standards and customer needs. Make a simple shift to a Unified Commerce Strategy and leverage today’s disruptive opportunity. Unify all points of engagement and deliver a superior merchant and customer experience. Make it easy to process any type of payment, in-store, mobile, online, self-service, on any device, anywhere. Collect and unify all payments data into a single token repository and turn it into a new source of value – with full integrity. Take advantage of new technology and add new business models, markets, value-added services and revenue-sharing opportunities. The NMI Platform is the industry’s leading commerce enablement platform, allowing you to seamlessly extend your brand and stay in the driver’s seat. With NMI, you set the price and terms and there’s never any risk of competition over merchants. NMI’s Unified Commerce Strategy removes any lock in by giving you choice when it comes to devices, processor connections and shopping carts. We are constantly investing in new features and functionality for our platform, so we can enable you to stay at the forefront of payments and quickly evolve as new payment technologies, devices and business models emerge. The NMI Platform unifies every point of engagement and every device. Whether the channel or device is in-store, mobile, online or self-service, NMI makes it easy to deliver a superior merchant and customer payments experience, and through one view of the customer, turn data into a new source of revenue. The NMI Platform uniquely offers one view of the customer, regardless of channel or point of engagement. This is delivered via its Unified Token Vault, which maintains a single encrypted/hashed credit card number (PAN) for reporting and business intelligence and enables an unprecedented understanding of buying behavior. It also allows merchants to manage business across all channels (click and collect, buy online/return in store) and meet today’s customer expectations for seamless recognition across all points of engagement. 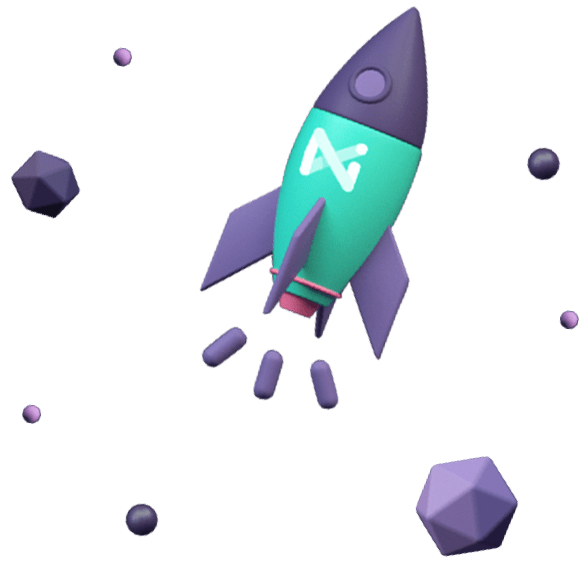 With the NMI Platform’s unique multi-dimensional hierarchies, you can actively manage your portfolio of unlimited numbers of sub-affiliates and merchants, rapidly onboard infinite MIDs with self-service implementation, and deliver active intelligent routing. With tokenization cardholder data can be reused from previous transactions without having to store or secure it. The token can be used for subsequent transactions without the cardholder data being re-entered. By investing heavily in our teams, infrastructure and security platforms, we enable our partners and customers to offload the burden of payment security. You can rest assured all transactions are safe and protected so you can focus on what you do best. As an EMVCo Business and Technical Associate and PCI SSC Participating organization, we have been contributors in shaping both payments industry standards. We have unprecedented insights and knowledge surrounding EMV and provide our contact and contactless EMV Level 2 Kernels to the world's leading manufacturers of EMV chip card readers. Point to point encryption (P2PE) provides the most secure and effective solution to protect sensitive cardholder data in combination with EMV and tokenization. It ensures cardholder data is not exposed at any time during a payment transaction. All of the data is encrypted inside the payment device, making it useless and void of any value if a skimming attack is attempted. Remote key injection (RKI) enables you to automatically, quickly and securely complete payment terminal key injection at the point of sale, a more cost effective and faster alternative to the traditional manual process. Our terminal management system (TMS) remotely manages your estate of payment devices including any necessary firmware updates required for security or continued EMV compliance. Merchants expect a quick and seamless onboarding process without all the underwriting headaches and wait times. Our unified commerce enablement platform can deliver exactly that—a speedy and painless process that enables you to get your merchants up and running within a matter of minutes. Our unified commerce enablement platform provides your merchants with everything from recurring billing to multiple MID management to fraud detection. Our systems have been designed with ultimate uptime in mind to avoid a single point of failure. By distributing our data centers in the US and Europe, it allows continuous service and unrivalled survivability in the event of a localized or international event and ensures you never lose a transaction or revenue.